Welcome to my first food post! For my first post is something great to make over this weekend (and super easy to make with children). 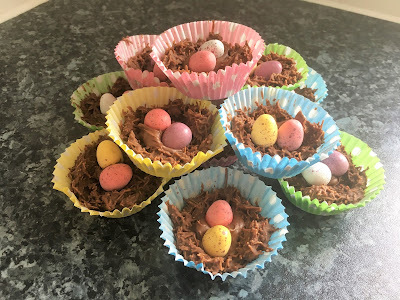 I am going to show you how to make Easter nest cakes. I rate these an EASY make and suitable to make with children. 1. 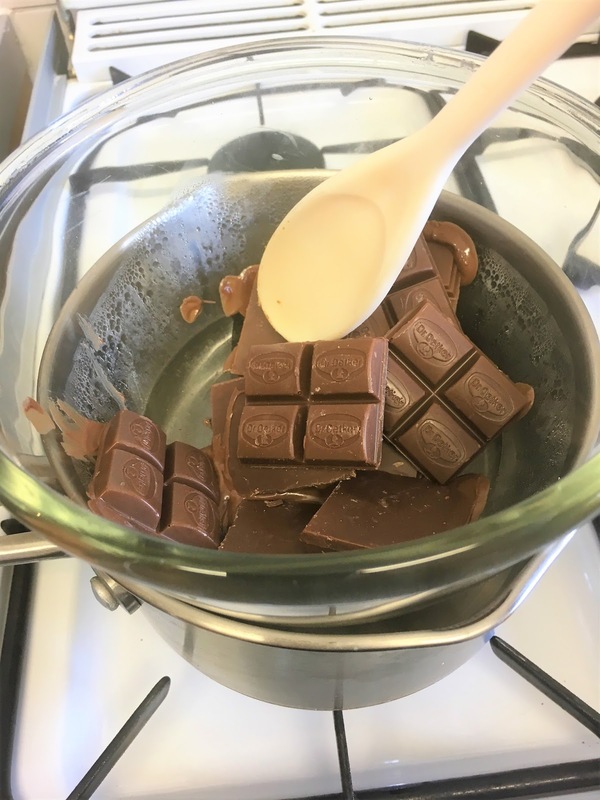 Using your scales and heatproof bowl measure 250grams of chocolate. For reference I am using Dr Oetker fine cooks' milk chocolate 35%. Also, take your cupcake cases and place one in each hole of your cupcake tin. 2. 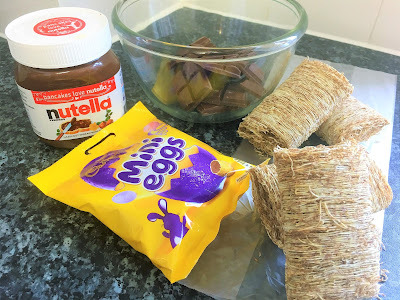 Take your sandwich bag and place all of your Shredded Wheat inside. 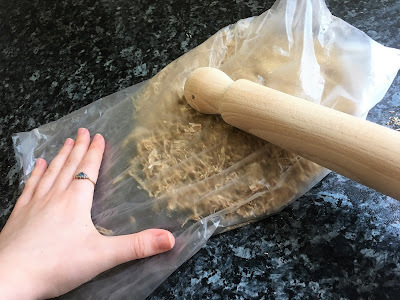 Use your rolling pin to crush the Shredded Wheat. TOP TIP: Using a sandwich bag helps keep the washing up to a minimum as you can keep it in the bag until it is needed at step 4. It also creates stops the Shredded Wheat from flying everywhere. 4. 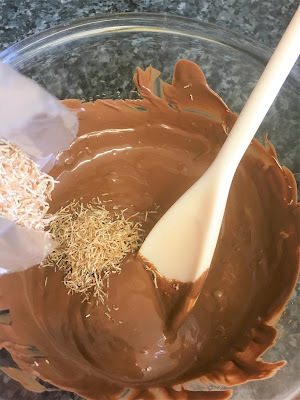 Take the bag of crushed Shredded Wheat and pour into the bowl of melted chocolate. 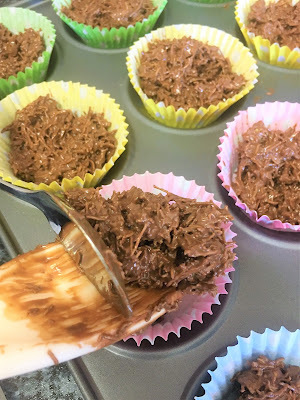 Stir together until the Shredded Wheat is fully coated in chocolate. 5. Now you will need your cupcake tin with the cupcake cases already in them. 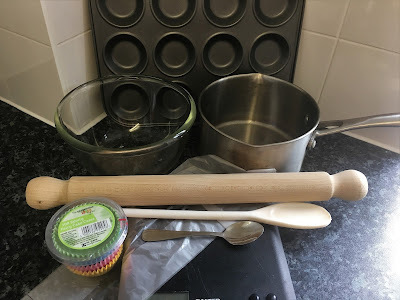 Take your spoon and spoon the mixture evenly into the cases. 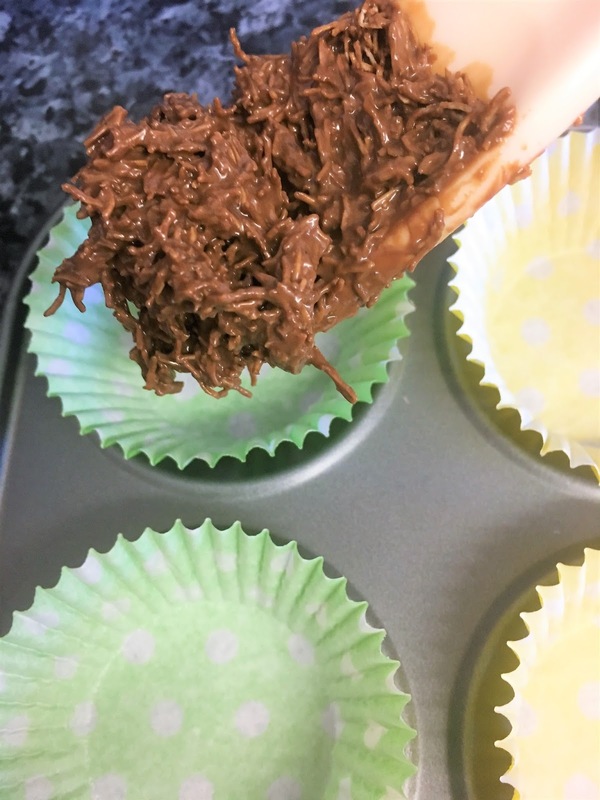 You can use a teaspoon to help slide the mixture into the cupcake cases. 6. Now for the messy part! With clean hands, make a well with your fingers in the middle of the nest cakes ready for the Mini eggs and the optional Nutella. 7. This step is optional. With your teaspoons, spoon a little Nutella into the well you just made. 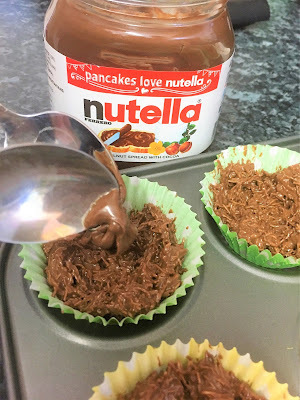 This will act as a kind of glue for the Mini eggs and it's just because I love Nutella! 8. 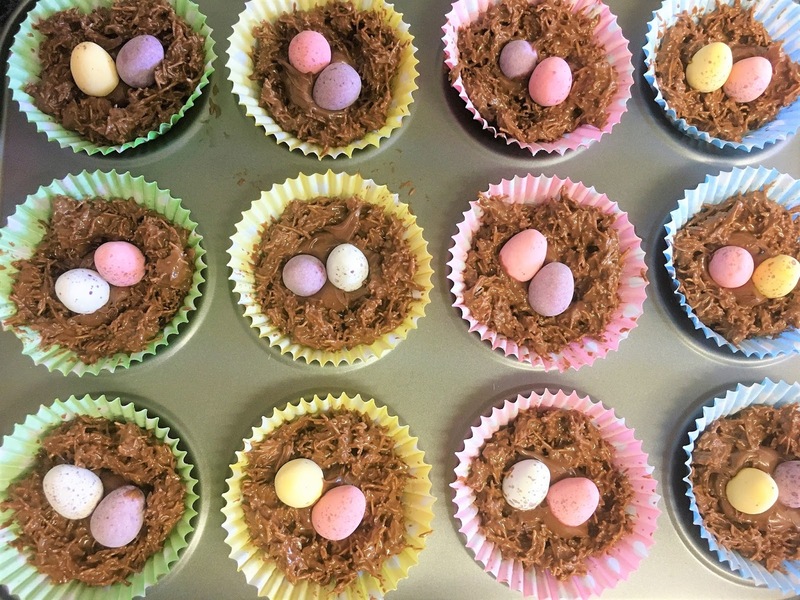 Now you can place 2 Mini eggs into the centre of each nest cake. There will be some Mini eggs left over at the end of this step to eat later. 9. You will need to create a space for the tray on a shelf in your fridge. 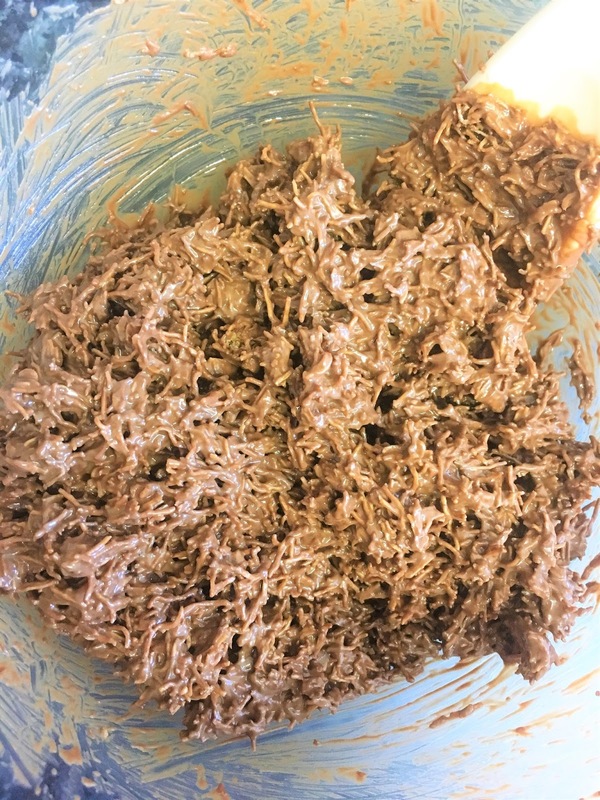 Place the tin into the fridge and leave to set for 2 hours or until they have set (the cakes have hardened). This is an ideal time to eat those left over Mini eggs from the previous step whilst you are waiting for your Easter nest cakes. 10. 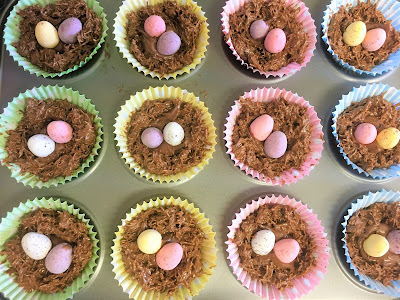 All that's left to do now is take the Easter nest cakes out of the fridge and eat them! Enjoy! I hope you have a lovely Easter weekend! What are your plans for the weekend? Omg these look amazing! I want one (or two, or three...) I was laughing at the 'suitable for children' bit as this is probably about the length my baking skills would go! I can't bake or cook to save myself! I loved this and you done fabulous for this being your first food post! Marvellous! Please do more! These are so super cute!! Definitely going to give them a go at some point!! 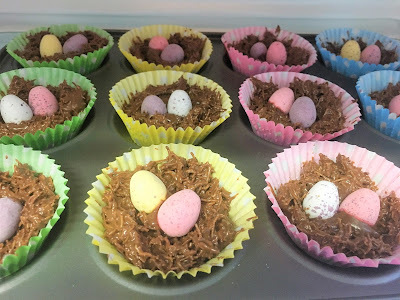 I love making these, a must at easter time! I need to make these: easter is the BEST for recipes! These look lovely-I shall have to try! These look really tasty! I'll have to see if I can get my hands on some mini eggs and give them a go! These look amazing! I usually make cornflake nests but never thought of trying shredded wheat. I'm totally gonna have to give these a go! I love making these cakes at easter! 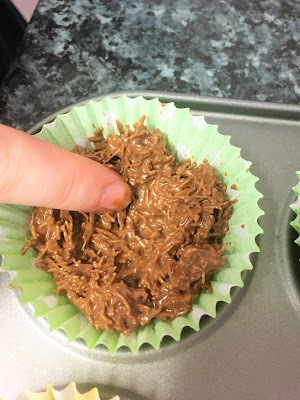 I have never made nest cakes this way, but they look amazing and delicious! I can't wait to try this recipe.